Bold & The Beautiful – Will Ridge get his mojo back? So, Ridge is alive, but he can no longer draw. Is this the end of the renowned fashion designer’s career? Will Ridge get his mojo back, or will he have to look for work elsewhere? Aha, what a good question! Of course Ridge will get his mojo back...he has been a designer for about 40 years and what on earth could he do apart from marrying and divorcing, if he does not have this profession. The nature of the Beast B & B makes it so that he WILL (fear not!) get it all back eventually -it may of course take about 5 years of our time, but all good things come to he who waits. Hahahahahaha is all I have to say! LOL! well, you surprise me then! no more to say than that? Gross! In my opinion, Ridge is not amazing, LOL. Useful, that is certainly a term I'd use to describe him, LOL! Please get rid of this actor! He is rough as nails and not the lover type that he represents, he would be adequate in a farm, taking care of pigs! What was the idea of the show creators engaging such an ugly, unpolished and dirty looking person for that role of the polished, refined, world renown clothes designer? If Christian Dior was alive he would die again watching the type of actor they chose to represent a type of man like he himself was. 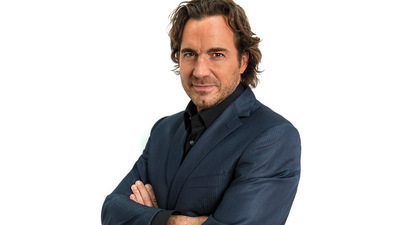 I would agree with you if Ridge's character was refined. He not only looks 'rough as nails', he's also arrogant and annoying, so I think this guy nails the portrayal. Bold & The Beautiful - What’s wrong with Ally? Are you watching The Bachelor AU?